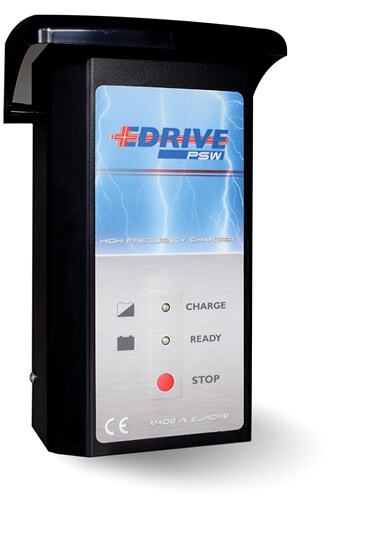 The EDrive PSW is the lightest and most compact charger in the high-frequency charger range. If you are looking for a high-frequency charger for smaller applications, the EDrive PSW will most probably be the best choice. This is certainly the case when the power required is no higher than 2 kW. Operation of the appliance is extremely simple. If required one can use different options including the Multiprogrammer Top II with which you can read or program the charger. With the Multiprogrammer Top II (MP TOP II) you can both program and read our PSW EDrive chargers. A number of charging curves are pre-programmed for both traditional or maintenance-free batteries, with different charging times, etc. 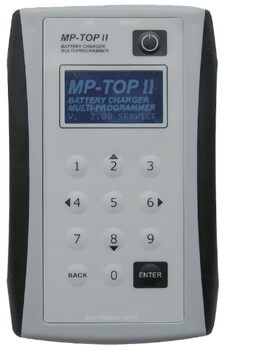 The MP TOP II also has an extended memory to store 100 charger memories. You can then use a USB connection to transfer the memory to a PC to enable a perfect use or failure diagnosis. It is supplied in a sturdy carrying case with space for the cables supplied and includes PC software for the visualisation of the data. External batteries as a power supply are not necessary. The internal battery of the unit is charged by USB computer connection. 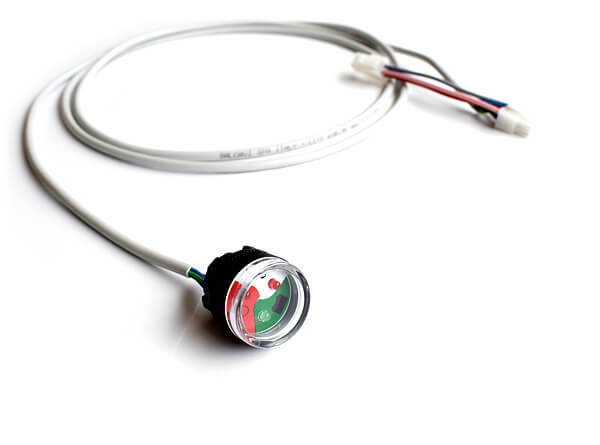 With a built-in PSW charger the LEDs are not always visible. An external LED can be used in this case. This option requires no extra installation procedure. All that is needed is a simple plug & play connection. The LED has 3 different statuses: ‘charging’, ‘charging done’, ‘deep discharging’. If required one can even use the standard built-in relay in the PSW. This can be used to switch off a consumer.